This particular grape variety has very fruity flavours and aromas that range from apple to pineapple, depending on the climate it is grown in. It may also display various earthy and subtle aromas such as minerals and mushroom. 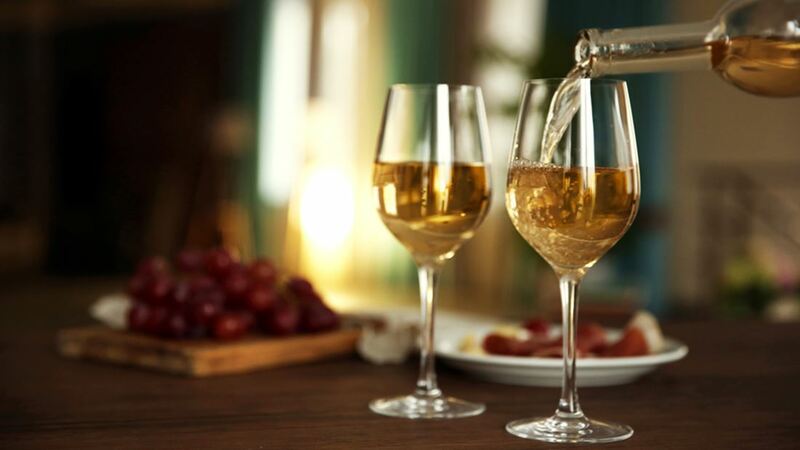 The acidity levels of Chardonnay wines are in the medium to high range. Germany produces some of the greatest Riesling wines and they have a very noble characteristic to them. This excellent class of this grape variety is evident in very few places other than Germany. The Clare Valley region of Australia, Austria as well as the Alsace region of France are the other and places that grow great Riesling variety grapes. While many Rieslings are sweet, there are also quite a few that aren’t. If you prefer the dry variety of American Rieslings, look for the word “dry” on the labels; if you are purchasing the German Rieslings, look for the word “trocken” (which means dry). Their aromas range from flowery & minerally to fruity. This wine has very pronounced flavours and aromas and is high on acidity. In addition to its grassy/herbaceous flavour, Sauvignon wines can also have fruity flavours that range from figs and melon to passion fruit. The Loire Valley and Bordeaux are the 2 classic Sauvignon Blanc grape wine regions in France. The Sauvignon Blanc wines from New Zealand’s particular are well known for their flavourful and fresh style. Pinot Gris (gree) is actually one of many Pinot grape varieties. It is believed to be a mutation of the black Pinot Noir grape. While it’s considered a white grape, the skin colouring is pretty dark, which is unusual for a white variety. This is why whites made using this grape have a much darker colour compared to most other white wines. Many Italian Pinot Grigio wine flavours and aromas have hints of orange rind and peach skins. Pinot Gris is a very important grape across Northeastern Italy and it grows in Germany too, where it is called the Ruländer. The Alsace region in France is the only region in this country where this grape variety is important and a number of Californian wine producers are now trying out the Pinot Gris as well. For any information about cellaring wine and getting custom-designed wine cellars installed, call Signature Cellars at this number 02 9340 7515 or use this contact form to get in touch with us.